By Rick Walker and Meredith Canty, SMC Ltd. 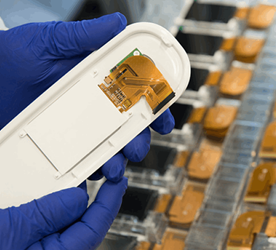 The growth of electronics integration into medical devices stems from a wide array of needs ranging from accuracy of the device performance in the surgical suite to a patient’s desire to monitor their own health. One of the challenges that medical device companies face in electronics integration is when the device is a one-time use or a single patient disposable. Both devices can be successful in utilizing integrated electronics, but need to have carefully considered designs and manufacturing requirements. This article discusses the main design and manufacturing concerns for integrating electronics into medical devices such as human factors, battery life, environmental concerns, and costs. Download the full article for more in-depth information.